Port gantry crane is an inseparable part of quayside to carry out various lifting tasks. It is widely used to load and unload containers from ships as well as handle cargoes and stacks of containers at container terminals. With development of container ships, this dockside gantry crane is required a higher efficiency and greater capacity so that it is capable of handling large container vessels. 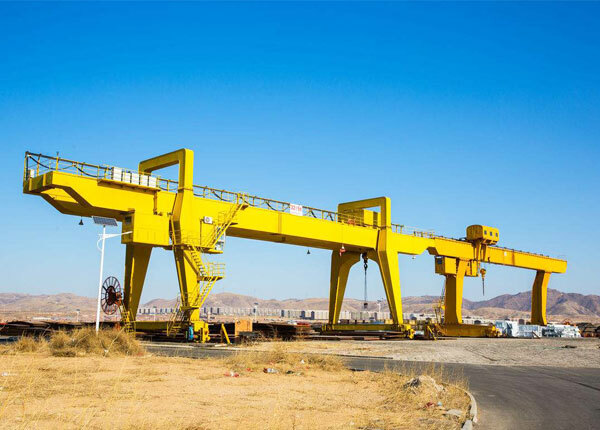 According to different ways it moves, the port gantry cranes can be classified into rail mounted and rubber tyred type, and each type is built for a specific use. We supply a variety of port gantry cranes to meet your different lifting applications. 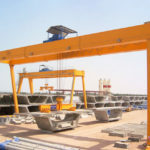 As a special lifting equipment, the port crane usually has great lifting speed and high working level, and it greatly increases productivity and reduces dwell time at dockside. Port gantry crane provides highly efficient handling of containers from medium to largest size. This container port gantry crane comes in different types and sizes for various lifting purposes. 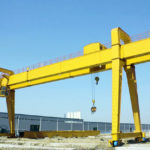 We provide two main port gantry cranes to serve your wide range of applications. The rail mounted crane is the most commonly used type at dockside to lift and move heavy goods, which is also called RMG crane for short. It can also serve as a ship to shore gantry crane to load and unload intermodal containers from vessels. It usually travels along two rails and lifts a single container at once. However, some advanced port cranes are able to handle two or more containers at once. Unlike typical gantry crane, the rail mounted container gantry crane is equipped with a specialized spreader which utilizes a locking mechanism to lock onto four corners of the containers to realize a safe and stable operation. 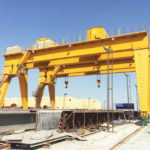 The rail mounted type gantry crane has significantly accelerated the operations at ports with plenty of benefits such as little maintenance of electric spreaders, high durability, less positioning time and excellent performance. 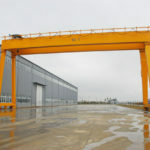 Rubber tired gantry crane, also known as RTG crane, is employed to lift and move heavy cargoes such as containers and stack them in the storage yards. It can pile up containers three-to-four high and six wide so as to save much space. The portable gantry lifting system provides a much more convenient movement in contrast to rail mounted type, making it increasingly popular at ports and container terminals. 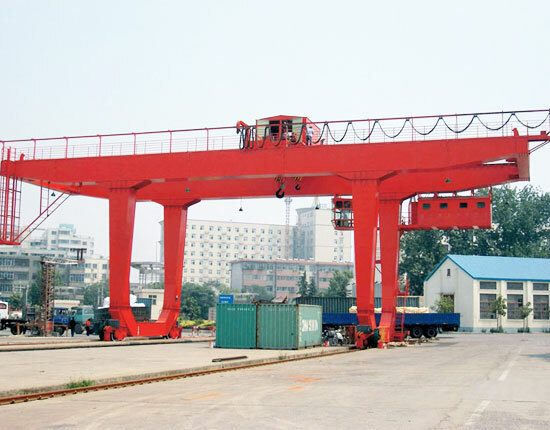 At present, most of container port rubber tyred gantry crane is powered by diesel engines, which requires large energy and maintenance costs, so the electric portable gantry crane is getting more popular among users. The RTG container crane is usually equipped with many protection devices to ensure a secure operation such as anti-swaying system, overload limiter and anti-collision system. Port gantry crane plays an important role at busy dockside as it facilitates the port operations as well as saves much time and money. 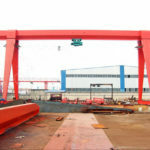 To determine which type of port gantry cranes can best serve your needs, you should consider your specific use and the environment of quayside. We are also more than happy to help you find the best lifting solution for your particular applications. The port gantry crane can be equipped with various lifting tools such as hook or specialized spreader to handle different goods and items. 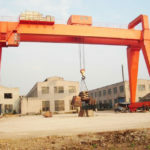 As heavy duty lifting equipment widely used at ports and shipyards, the port crane is usually operated by a cab driver sitting in the cabin room. Due to the limitation of vision from cab operation, it also requires a co-worker from the ground to complete the lifting job. 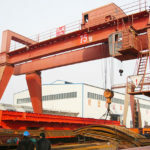 We have many different types of port gantry cranes for sale. 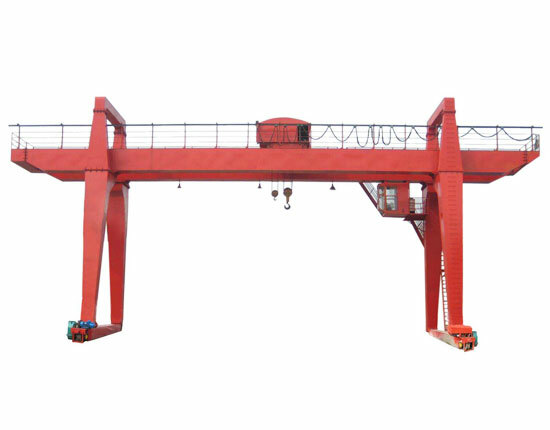 If you are interested in any type of port gantry crane, please let us know. You can email us or leave a message to tell us your specific requirements, and we will design the best lifting system for you! Our port gantry crane is built with many advantages, including low energy consumption, quick and accurate spreader positioning, stable and smooth movement, less maintenance and high productivity. We also provide other design options for your port gantry lifting system to optimize the structure and function of the equipment. 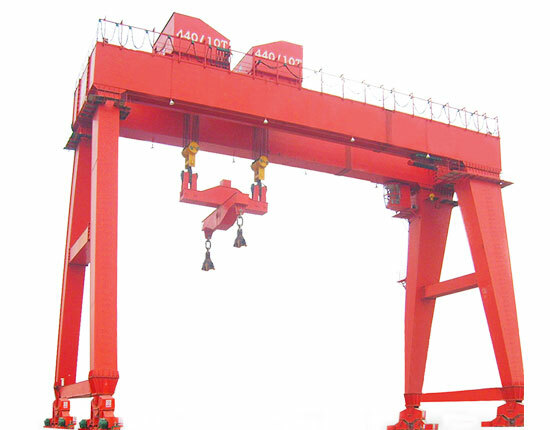 The options for port gantry crane mainly include but are not limited to: anti-collision system, anti-swaying system, emergency drives and brakes for lifting system, festoon system and the positioning system. Our professional engineers are ready to design the optimized lifting solution for your practical applications. To learn more detailed information about port gantry crane options, please consult our technical team online now. 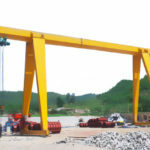 Choosing a right crane manufacturer and supplier is critical for that it not only highly related to the quality and cost of gantry crane, but to the follow up services. Therefore, you should pay more attention to the supplier’s qualification and reputation in the selection process. As leading material handling equipment manufacturer and supplier in China, Ellsen promises to provide quality cranes and dependable service for clients. All of our products are fabricated in strict compliance with international and industrial standards. We always focus on the quality of components as well as every part of machining process to ensure the quality of our products. Our gantry crane has obtained CE and ISO certificates. We are capable of providing a full spectrum of service including equipment design, manufacturing, commissioning, delivery, installation and maintenance in order to simplify the whole order process and save time for them. We do our best to satisfy them as always and take their practical needs as first priority. We value much on the crane research and development, making it as our core competitiveness. We have a team of experts to provide professional technical support. With so many merits above, Ellsen can be a good choice for your businesses. If you have any question about port gantry crane, please feel free to contact us. We are very pleased to help solve any problem of your lifting system.